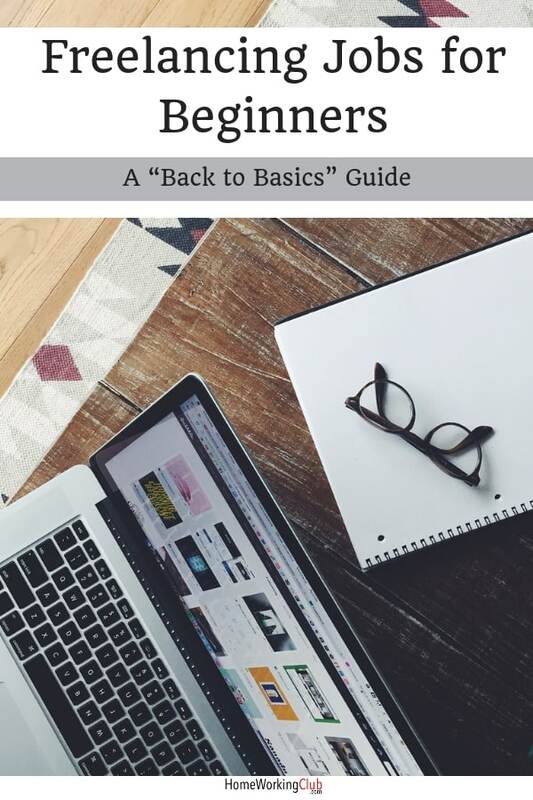 This freelancing jobs for beginners guide is essential reading if you’re looking to find out what options exist for you in the exciting world of online freelancing. So let’s get right to it. How do freelance job boards work? 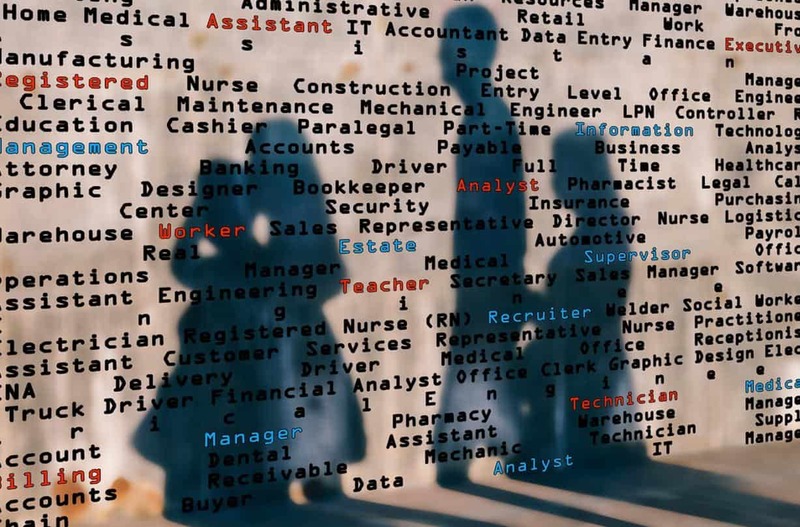 However, there are also millions of people looking for these jobs – people from all over the world, including countries where the cost of living and the average wage is FAR lower than in places like the USA and the UK. 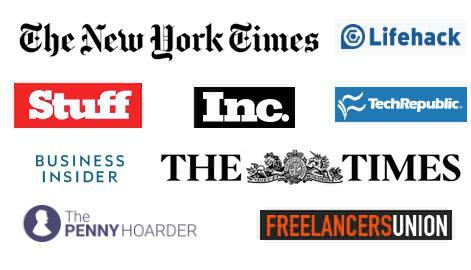 There are an estimated 53 Million freelancers in the US alone. Many of them are doing very well for themselves. But unless you’re incredibly lucky, there are no shortcuts to success. Establishing yourself as a freelancer takes hard work, dedication and resilience. I recommend reading my article on whether you have what it takes to become a successful home worker to see what I mean. An alarming number of people email me asking about freelancing jobs for beginners and how to get started without telling me anything about their skills and experiences, or even what it is they want to do. This is akin to pitching up at a busy office building and just asking for a random job! 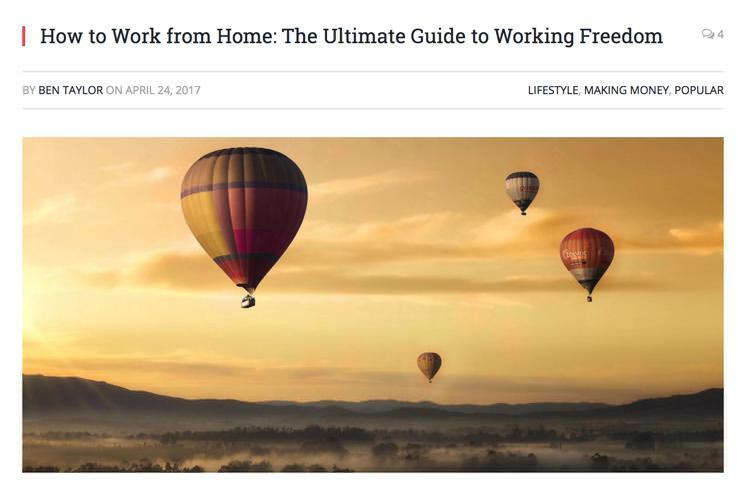 Our Ultimate Guide to Working Freedom. You may have noticed that I’ve already given you several links other articles I suggest you read? This is intentional, because if you’re not willing to put in that kind of leg-work at this stage, I have to be brutally honest and tell you you’re not going to get anywhere. Here’s why you need to be realistic: In the Philippines, the median wage is around US$8000 per year. Plenty of countries have a similar average. This compares with a figure of around $45,000 in the US. Online freelancing involves a genuinely global marketplace, so if you’re in the US and want to earn an average wage online, you’re going to need to conclusively demonstrate to clients why it’s worth paying you nearly five times as much as someone in a country with a lower cost-of-living. And believe me when I tell you that there are thousands of competent, skilled, dedicated and trained people living in those countries. Perhaps this simple fact alone is enough to make you lose your motivation? It shouldn’t, as I’ll discuss more later, but it’s a reality you need to be aware of. Find out how to set your freelance rates here. Of all the freelance jobs for beginners I am asked about, freelance writing comes up the most. (As a result, there’s a detailed guide to freelance writing for beginners here). As I’m a freelance writer myself, I can tell you how the economic realities I mentioned above play out when it comes to writing. First off, there ARE plenty of experienced writers out there getting $50, $100, $200, even $500 or more for each article they write. It’s not a myth. However, if you’re a complete novice without an impressive portfolio to demonstrate, you’re not going to get those rates just because you’ve decided to call yourself a freelance writer. There are people out there who want content written in bulk, who sadly aren’t that fussed about the quality of the work they get because they’re paying peanuts for it. These are the kind of “$5 per article” bottom-feeders who are easy to find all over the freelance job boards (which we’ll discuss in a moment). Where it’s important to be realistic is in knowing that these people don’t struggle to find applicants for their low-paid and soul-destroying work. In fact, for someone in a low-cost country, earning $5 for an article that takes an hour to write might be more lucrative than getting a local job. For those people, it’s not as soul-destroying as it would be for someone in the UK or USA. So how, as a novice, do you get to the point where you can command a more desirable amount of money? 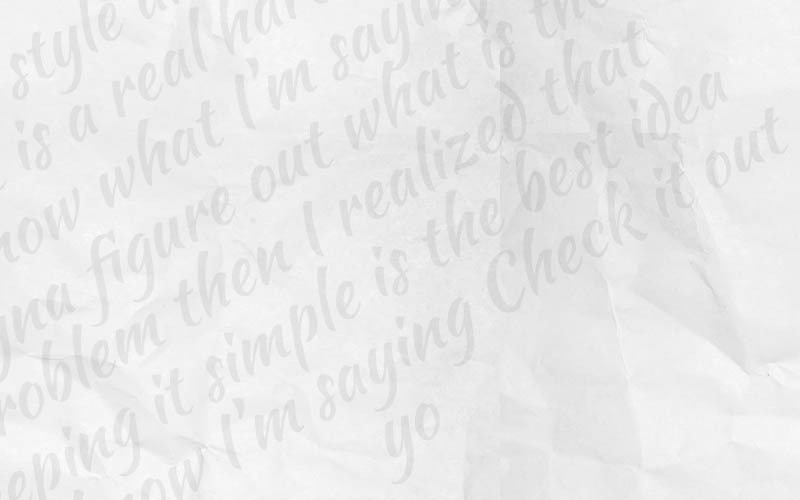 Well, for starters, you get realistic about what you’re offering to clients. If you have a rich portfolio AND specialist knowledge in something like health and fitness, technology, food science, or any one of 100 other things, you don’t even look at those $5 per article job ads. You can go straight to sites like ProBlogger Jobs or even LinkedIn and pitch directly to companies in your niches. That’s when you’ll start picking up those lovely $100 articles that only take you an hour to write. (We even have a guide about where experienced writers can find work). But until you ARE at that experienced point, you simply HAVE to expect to pay your dues while you build up your portfolio, reputation and knowledge. Take courses, get the work you can get, build relationships with people, and increase your rates once you’ve proved your worth and indispensability. If you’re NOT willing to do all that, find something else to do or get a “traditional” job. There are plenty of people out there who ARE willing to pay their dues – and if you live in the western world, many of them don’t even need as much money as you to survive. I KNOW all the above sounds harsh, but there’s no point in being less than honest. 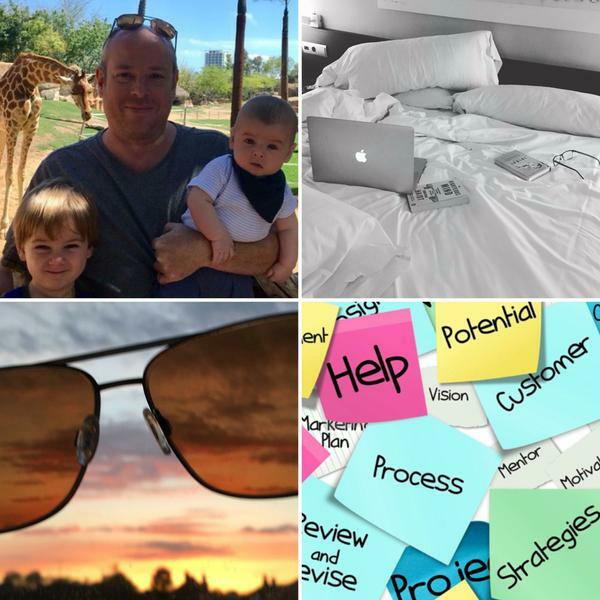 While my example above concentrated on freelance writing, you can apply the same formula to any other freelance job or work-from-home endeavour. Say, for example, that you’d like to get into administrative “virtual assistant” work. There’s a huge market for this, and I’ve personally employed freelance VAs for various tasks over the years, with varied but often fantastic results. How much experience of this work do you have? Do you have past clients (or even employers) who would vouch for your competence? Do you have top-notch computer skills and a great internet connection? Are you ready to deliver amazing customer service to your clients? Answer those questions honestly. And keep firmly in mind that there are experienced VAs in the Philippines with years of experience who will be competing for the same jobs advertised online – and quoting $10 per hour or less. Again, this may make you feel downhearted if you live in the western world. But look at it another way – how about if you’ve got previous experience as a PA for a Fortune 500 company? What about if you have specialist knowledge of something like board governance, or if you’ve had in-depth training in a specific software program like Microsoft Project or Visio? If so, you just need to find the clients looking for these skills who are willing to pay for them, and they ARE out there. It’s also a reality, unfair though it may be, that many US and UK companies only want to employ freelancers in the same nation. As I said above, the formula works regardless of the kind of work you’re seeking. If you’re a designer who can show past work for household name companies, you’ll be in the running for far more prestigious freelance gigs to someone who’s just learned PhotoShop; If you’re a programmer with a famous app to your name, you’ll be looking at the $100/hour gigs, and not the freelancing jobs for beginners in UpWork’s programming section. Everyone has to start somewhere, and progression always exists. The people who don’t progress are the ones who never get started! The time has come to talk about the dreaded job boards – the places like UpWork, PeoplePerHour and Freelancer that everyone has an opinion on – and sometimes a horror story to share! In an ideal world, freelancers could avoid the job boards completely, find all their work via personal referrals and LinkedIn connections, and be shielded from the reality of the fact that millions of freelancers all competing for the same work. The good news is that once you’re established as a freelancer, you tend to manage to step away from these hectic sources of freelance work and get closer to that utopia. But this is an article about freelancing jobs for beginners. You have to pay your dues and find those first clients, and for most online freelancers, that means setting up shop on one or more of these job boards. Thankfully, we have you covered there, as we have an article including lots of tips for winning on these job boards. 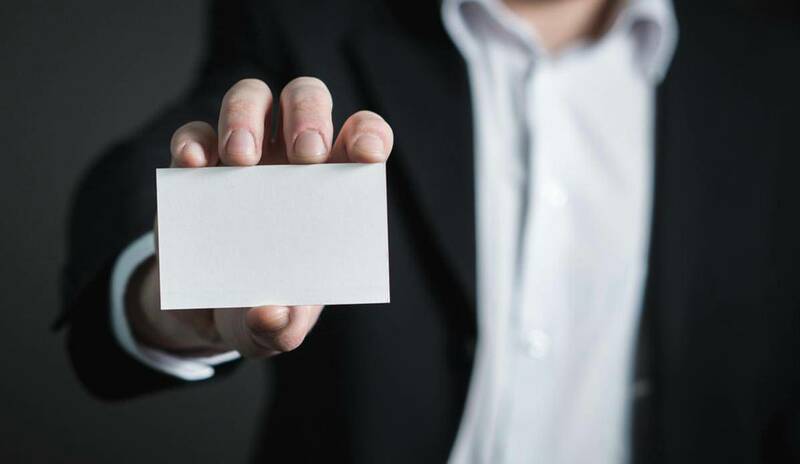 You get yourself established on your chosen site(s) with a profile, which is essentially an online showcase of your resumé, the work you’ve done, and the skills you have. You browse the lists of freelance jobs available, and send a customised application to any you like the look of. If a client is interested, they get in touch, ask some questions, and if all goes well you negotiate a rate and get working. Payment is handled through the job board’s systems, with the job board taking a commission, often both from you and the client. Once the job is completed, your client leaves you feedback, and you do the same for them. Just like eBay, your feedback is key to your reputation. People with no feedback struggle to get well-paid work in the early days, while established contractors with loads of feedback have a way to show their competence and reliability. There are plenty of variations in exactly how these boards work, but the above covers the basics. It all sounds great, and in many ways it is. 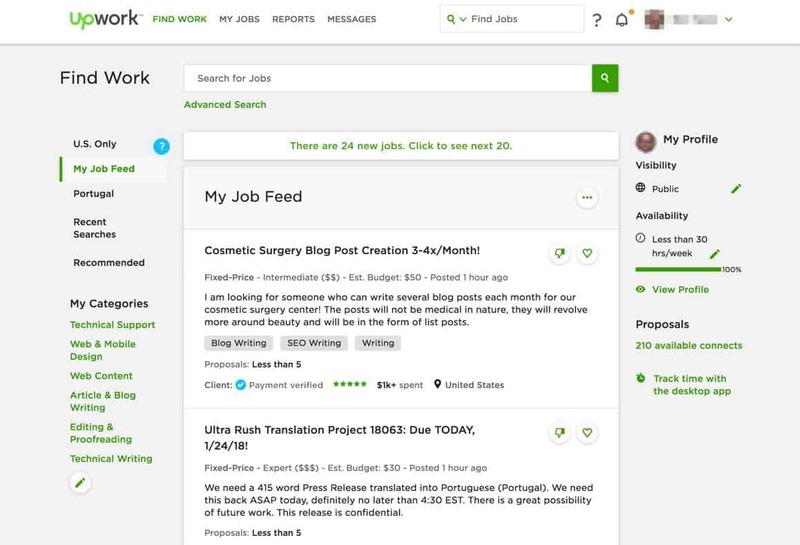 On Upwork alone, there are typically around 100,000 jobs there for the taking at any one time, and by making clever use of the search facilities, you can drill quickly down to those that might be a good fit for you personally. Many job board clients are either scammers or people starting businesses on a shoestring, and therefore expecting “the moon and the stars” for very little money. In the same way that the workforce is global, so is the client base. As such there are plenty of clients on all of these platforms who will never pay the rates expected by workers in the western world. All of these platforms are highly competitive. One statistic I’ve seen before is that it takes a new freelancer on Upwork an average of 40 pitches to land their first freelance gig. A combination of job board fees and PayPal transaction fees can really eat into earnings on these platforms. (Something discussed in our review of PeoplePerHour). 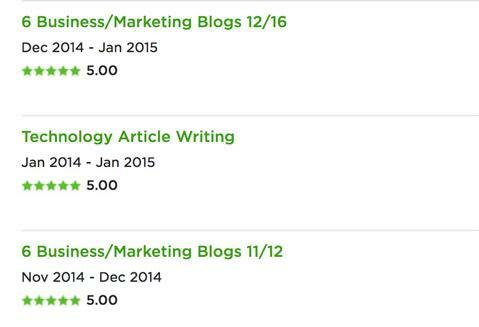 Upwork in particular gets a lot of bad press due to the issues above. However, I personally feel it fair to point out that an awful lot of the bad press comes from people who’ve been unwilling to put in the work required to establish a good reputation. Before starting HomeWorkingClub, I often told people about Upwork (formerly oDesk) in person. I always warned them to expect to invest several practically unpaid days in building up a good quality profile. They’d need to do tests to prove their skills, learn their way around the platform, and apply for dozens of jobs they wouldn’t get. A lot of these individuals didn’t get far. The simple fact is that plenty of people are unwilling to pay their dues. To be frank, I have little sympathy. Once you get over that initial soul-destroying stage of working for peanuts to build up your first positive feedback, things do get much easier. Every new client you get involved with could be one that goes on to become an ongoing contract worth four figures every month. Both my wife and I work for people to this day who we initially met on these freelance job boards. Here’s a story of someone who made $100,000 on Upwork alone, and you’ll find plenty more via a quick Google search. One of the most fundamental choices you have to make when you’re starting out with online freelancing is whether you want to be inspired by the people writing articles like this, or whether you’d rather hang out with the people whining that the job boards are a scam. Most of these people just didn’t put enough effort in. Although I’ve been quite clear on my position above, I won’t deny that it is very pleasant to get to the point where sites like Upwork no longer have to be part of your freelance existence. I’ve been fortunate enough not to have had to search the listings for several years now, with my work all coming direct and via referrals nowadays. I do find that some clients still contact me via Upwork when they find my profile (which you’re welcome to look at should you wish!) I won’t pretend I miss the days of scanning ten pages of writing jobs before finding a single one I was willing to apply for! After a year or two on the freelance job boards, you tend to find that you have a larger network of contacts and some solid repeat business. Although most boards stipulate that you shouldn’t move your existing clients away from the platforms, it does tend to happen in reality. Sometimes this is simply because contacts you made move on to new companies and then come to you for work directly. Hopefully, by this stage, you have enough of a reputation and portfolio to apply to companies directly anyway. Freelance positions are listed on the big job sites like Indeed, and plenty of work tends to arrive via word of mouth. 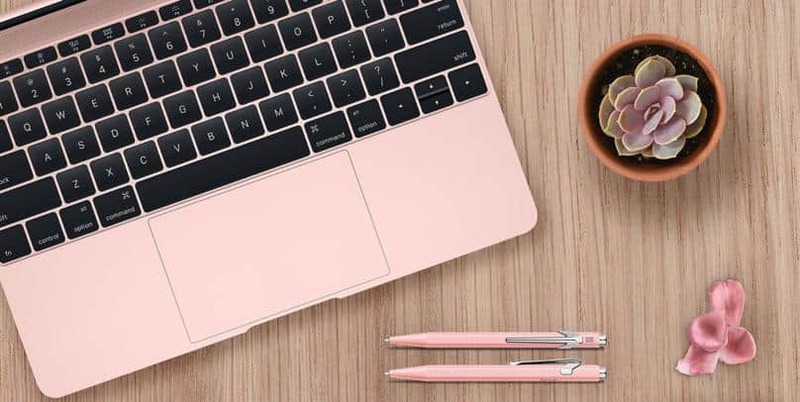 As I’ve alluded to a couple of times, plenty of people have reasons to have a problem with the big freelance job boards, but we’re talking about freelancing jobs for beginners. Once you’re not a beginner any more, you have plenty more options! If you’re someone put off by hard work, you’ve probably not made it this far into the article, but there are freelance jobs for beginners that don’t require so much effort and leg-work. However, they’re unlikely to generate you a full-time or stable income. That said, they’re worth tagging on to your other freelance efforts for some extra cash, or looking at if you’re just after some casual work. ClickWorker is a micro-working platform where you can earn money for simple online tasks. Other than reasonable computer skills, you don’t need any specialist skills or experience. Amazon’s Mechanical Turk is another similar option. UserTesting is a website testing platform that’s useful for an extra 10 bucks here and there. It’s something I still do a bit of personally because I find it interesting, and it contributed to the money I earned from side gigs last year. It won’t make you rich, however. Starting a blog on the side is a good option if you want a side project and are not in an immediate hurry for the income. If you want to really venture into the world of freelancing jobs for beginners, it’s probably time to think about what you want to do and set up shop on one of the freelancing platforms. Good luck, and please share your experiences in the comments! Finally, if you’re not interested in online freelance work, have a look at our case studies for ideas of other home-based businesses. Previous ArticleFreelance Rates: How Much Should you Charge? I absolutely love this article and your honesty! It’s rare to find that these days. Thanks for the info and I look forward to exploring the rest of your site!